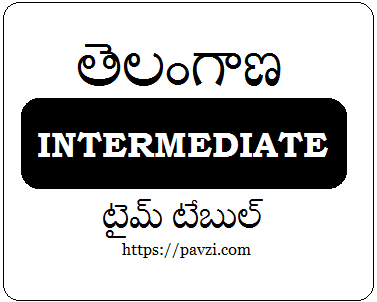 Board of Intermediate Education Telangana is announced TS 1st and 2nd Inter Time Table 2019 with Practical Test Dates for Junior and Senior Intermediate March Public Exam Dates 2019 through TS Intermediate Time Table 2019, Download Telangana Inter Time Table Pdf 2019 Online at http://bie.telangana.gov.in…..
BOI IPE Time Table 2019 will be announced with subject wise exam dates with timings for all general and vocational course students, the class 11th and 12th grade students who have wish to continue their study under Board of Intermediate Education Telangana (BIETS) can follow the schedule for annual final exams 2019. The Telangana March Final Exam Dates 2019 are started from 27th February 2019 with Junior intermediate of first year students and 28th February 2019 will be start for Senior inter of 2nd year students, and the public exams are scheduled up to 18th March at all selected centers across in the state all districts under BIETS, we have published TS Inter Time Table 2019 with subject wise dates from the following table, every student can follow the schedule to attend March final exams. The BIETS is announced the state first and second year intermediate final examination practical test dates with timings for Environmental Study’s, Ethics and Human Values Exam with subject wise practicals through official detailed notification of Telangana Intermediate Time Table 2019, as per the schedule every eligible student can follow the TS Inter Practical Dates 2019. The TS Inter Ethics and Human Values Examination test will be conducted On 28-01-2019 from 10.00 AM to 1.00 PM. All the eligible students can attend the Environmental Study Exam on 30-01-2019 from 10.00 A.M to 1.00 P.M (One day). The BIETS officials are scheduled the practical tests from 1st to 20th February 2019 at all selected centers, and this year also conducted in Jumbling system. We have suggested to all TS inter students, everyone can download the official notification of intermediate schedule from official website of http://bie.telangana.gov.in for any changes in the schedule, the BIETS is published the exam dates as Pdf file, download and follow the official schedule if any changes on above time table and please note BIETS announced schedule is official.